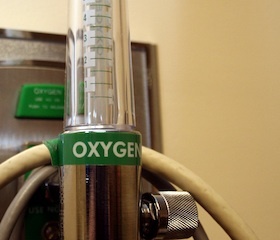 More and more people are beginning to use oxygen therapy outside a hospital environment. Oxygen therapy can boost the immune system, help normalise cell function, support circulation, improve digestion and give you more energy. Boosting your immune system can help you fight and prevent viral, bacterial, fungal and parasitic disease. Normalising cellular function allows the body to reverse degenerative diseases including type 2 diabetes and arthritis. Oxygen therapy supports the brain and nerve functions including memory, and is particularly beneficial for cluster headaches. It may also help with Alzheimer’s, senile dementia and Parkinson’s. Oxygen is our main life source and provides our cells with energy. Poor nutrition, drinking too much alcohol, air pollution, drugs and lack of exercise all reduce the amount of oxygen available in our cells. If there is insufficient oxygen to support normal cell health, cells will look for another source of energy called fermentation. This results in an anaerobic environment which upsets the cell’s metabolism so it can no longer contribute to the body’s functioning immune system. Oxygen therapy at the retreat is used during Infra Red sauna treatments. It helps prevent fatigue and headaches after the sauna and oxygenates the blood.